Welcome to Country Inn & Suites Houston Northwest. Our hotel is conveniently located along the Highway 290 and FM 1960 energy corridor between George Bush Intercontinental Airport and Downtown Houston. You will also be just a short drive to the Houston Premium Outlet mall which boasts over 145 designer and name brand outlet stores, Same Houston Race Park that is home to horse races, concerts and other family friendly events as well as the famous Galleria Mall. 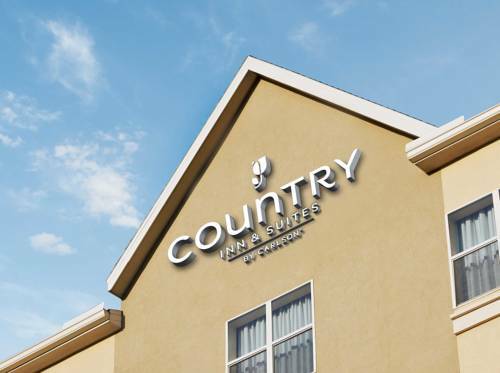 Guests staying at the Country Inn & Suites Houston Northwest hotel also enjoy complimentary breakfast, complimentary wireless internet access, a business center, a Fitness Center and an outdoor pool where you can relax and unwind by the fire pit after that long day. 1 Meeting Room that seats up to 40 people. Multi-purpose sports complex in Cypress, TX. Consists of 5 separate facilities: an arena, stadium, theater, conference center, and food production center. Is a premier racing, dining, and entertainment destination in Houston. There is live horse racing, family events, and concerts. Houston Premium Outlets0 offers 145 designer and name-brand outlet stores including Armani Outlet, Burberry, Nike, Kate Spade New York and Tory Burch. Traders Village in Houston, Texas opened in 1989 and covers more than 105 acres with 2,000 dealers every weekend. More than one million people browse, buy & trade in this open-air bargain hunters0 paradise each year. The arena is home to the Houston Rockets of the National Basketball Association, the principal users of the building, and the former home of the Houston Aeros of the American Hockey League. NRG Stadium is the only rodeo and NFL indoor/outdoor retractable roof, natural grass stadium that can be configured to utilize a 125,000 square foot space for general sessions, catered functions, exhibits, concerts, and much more. BBVA Compass Stadium is an American soccer-specific stadium located in Houston, Texas that is home to the Houston Dynamo, a Major League Soccer club, the Houston Dash of the National Women's Soccer League, and to Texas Southern Tigers football. The George R. Brown Convention Center in Houston has become one of America's leading meeting places it features seven exhibit halls, more than 100 meeting rooms, four outdoor balconies, a 31,000 square foot ballroom, and 6,000 retractable arena seats. A public urban park in Downtown Houston. Discovery Green 11.78-acre across from the George R. Brown Convention Center.The park includes a lake, bandstands and venues for public performances, two dog runs, a children's area and multiple recreational areas. Located in the Museum Distric of Houston with an average of 1.1 million visitors annually. The museum complex consists of a central facility with four floors of natural science halls and exhibits, the Burke Baker Planetarium, the Cockrell Butterfly Center, and the Wortham Giant Screen Theatre. This magnificent six-acre entertainment and dining complex is a 500,000-gallon aquatic wonderland, home to over 200 species of aquatic life from around the globe. With a full-service restaurant, an upscale bar, and a fully equipped ballroom. The official visitors center of the Lyndon B Johnson Space Center. The artifacts that can be found here are Mercury 9 capsule, Gemini 5 capsule, Apollo 17 command module, Lunar Rover Vehicle trainer, Skylab trainer mock up, and Saturn V.
The Kemah Boardwalk is open daily providing fun for everyone! Located just 20 miles from downtown Houston, the Kemah Boardwalk is home to fabulous waterfront restaurants, amusements, charming retail stores, festivals and seaside shows every day. Topgolf has evolved to become a best-in-class entertainment facility, complete with dynamic event spaces and a food and drink menu that would put any sports bar to shame. The 160-acre Buffalo Bayou Park is a collaboration of Buffalo Bayou Partnership, the City of Houston through Houston Parks & Recreation Department and Harris County Flood Control District.